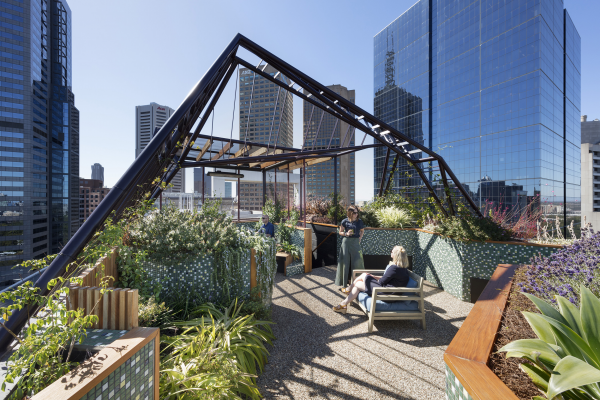 Phoenix Rooftop is a green refuge in the unlikeliest of places - 30-stories high, on an exposed, yet spectacular site in the heart of Melbourne. 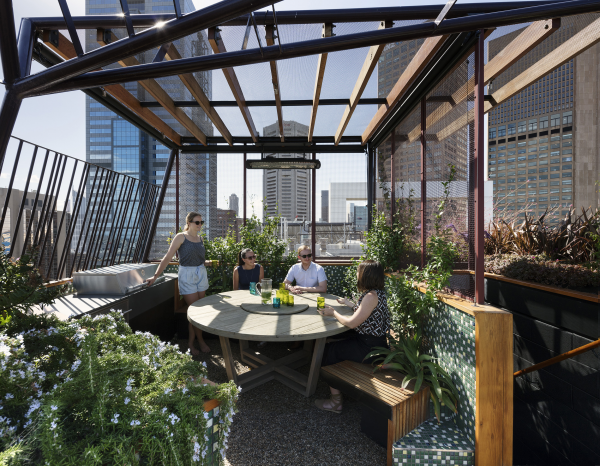 This garden in the sky allows two down-sizing professionals to retain the joy of outdoor living as they transition from the suburbs to the city. Visible to thousands of office-workers every day, this project is also a billboard for rooftop gardens. The message reads, 'our buildings can be greener, both literally and figuratively'. Our clients wanted to take a slice of their suburban backyard with them on their downsize to an inner-city apartment. They've achieved that, with postcard views as a bonus. 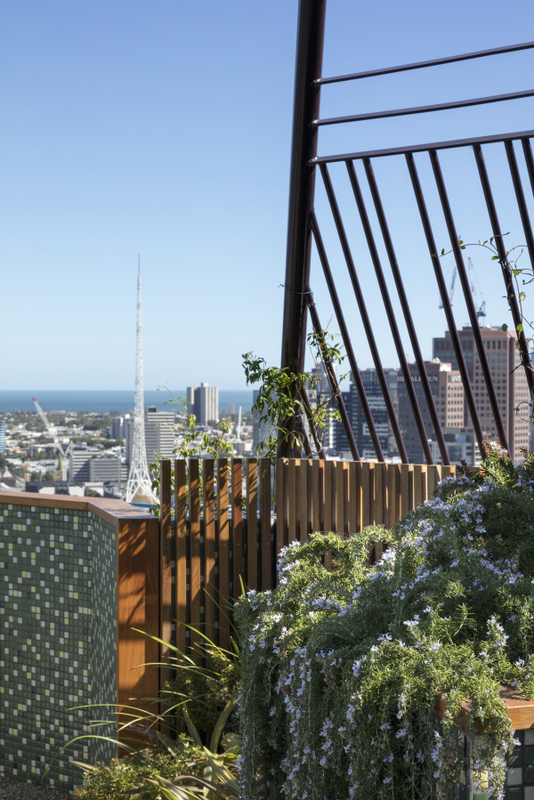 The separate, yet interconnected zones ensure the rooftop is multi-purpose - a surprise extra space that's suited to a range of activities, from cocktail parties to intimate family dinners. 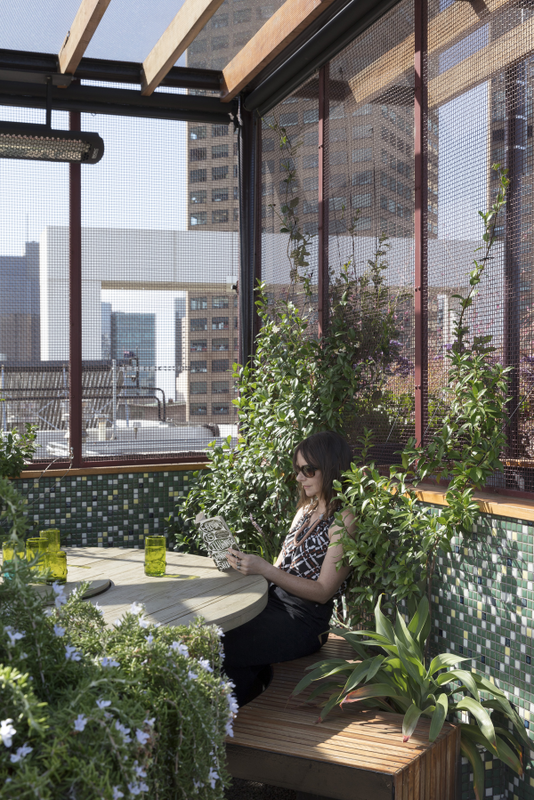 Functionally, the rooftop provides a kitchenette, storage and, importantly, a green space in the middle of the city. Phoenix Rooftop satisfies and exceeds our clients' brief. 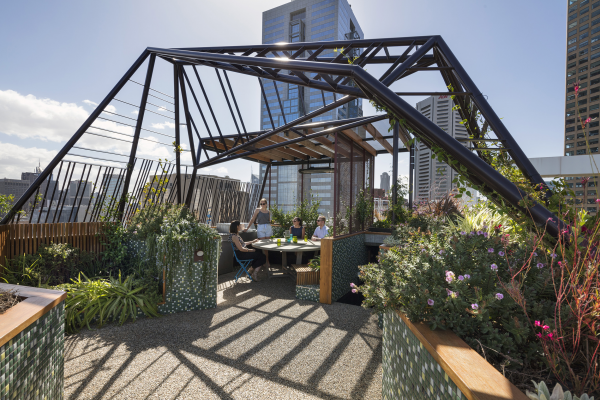 Phoenix Rooftop responds to its overlooked and exposed context by creating a gradient of privacy and protection across the site. The steel arbour dances gracefully across the garden, framing key views, while simultaneously sheltering, protecting and balancing precisely on the parapet - the area able to tolerate the greatest load. 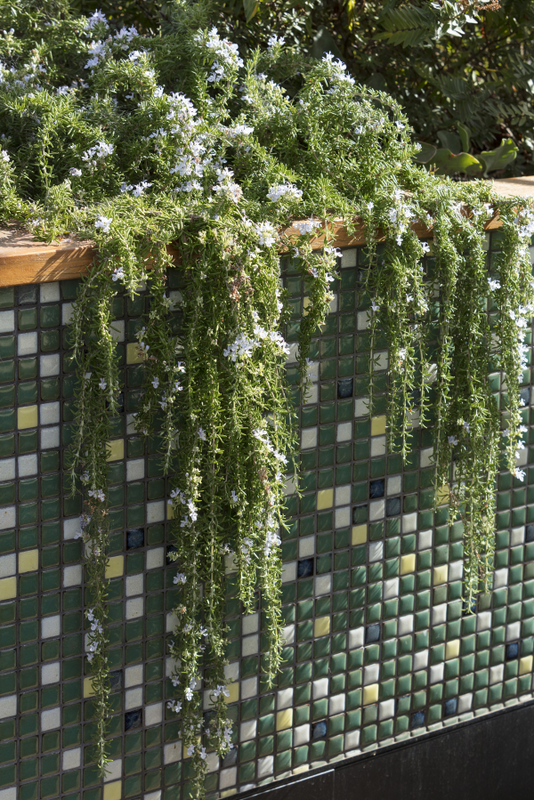 Raised garden beds, overgrown with fragrant and flowering plants, perform multiple duties: wind-breaks, balustrades and (outdoor) room dividers while accommodating rigging points which allow the building to function as normal. The built form of Phoenix Rooftop tames the wildest aspects of the context without detracting from its greatest assets. 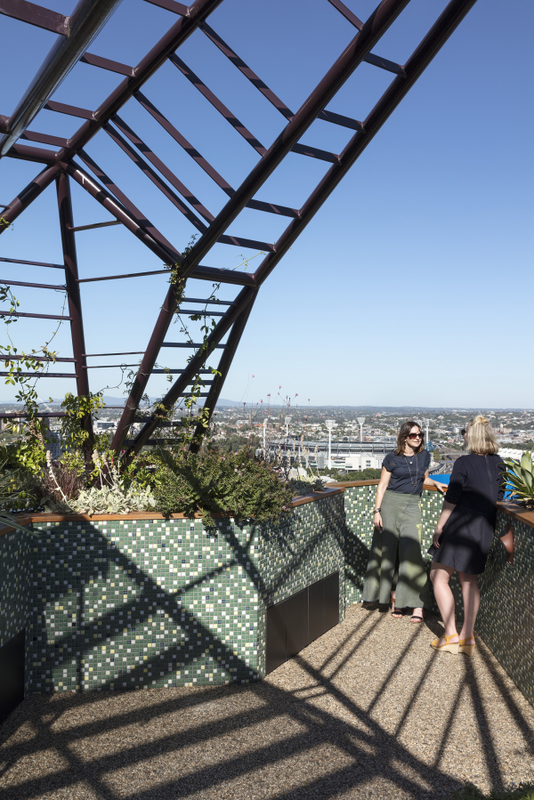 Rooftop gardens are still an experimental science - particularly 30-storeys high, in one of Melbourne's most exposed sites. 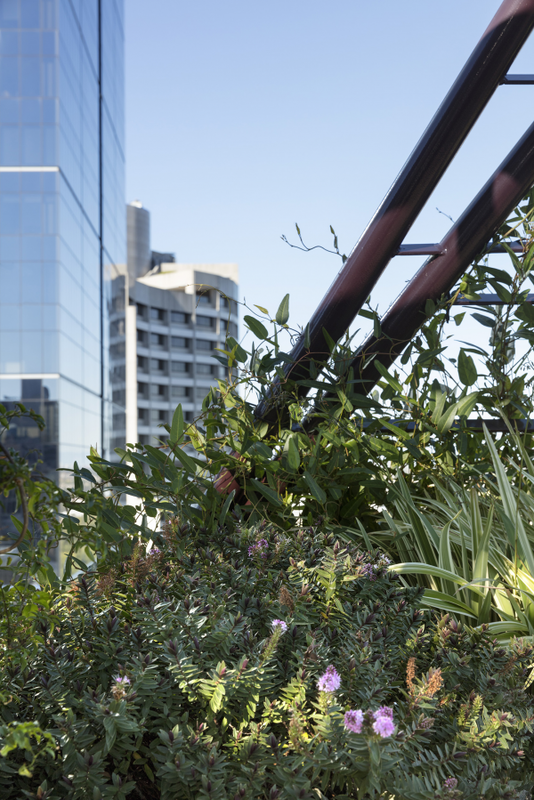 To our knowledge, this is the highest rooftop garden attempted in our city, and is an innovative example of the ongoing and important investigation into the potential of green roofs in our CBD. At Phoenix, our role was to engage, coordinate and inspire a team of specialist consultants to realise a design which creates invaluable amenity for our clients. Our horticulturalist played a key role, creating a light-weight planting substrate that requires minimal-no long-term maintenance, and choosing plants that would not only survive, but thrive in these challenging conditions. We worked closely with a structural engineer to ensure the building, which wasn't designed for an intensive roof garden, would be able to sustain the required loads. We also worked closely with our steel fabricator, who meticulously crafted the sculptural arbour that is integral to the experience of the rooftop. Our clients wanted their rooftop garden to provide functional areas akin to a typical suburban garden, but in a uniquely exposed, overlooked (and lofty) site. To achieve this, the site is divided into three distinct, yet connected zones: one for standing, another for sitting, and one for outdoor eating. Raised garden beds, filled with fragrant and flowering plants, define each zone while acting as both balustrade and wind break. A sculptural steel arbour shades, shields and protects the garden and occupants, responding to each zone's relative need for privacy, sunlight, and protection from the wind and rain. 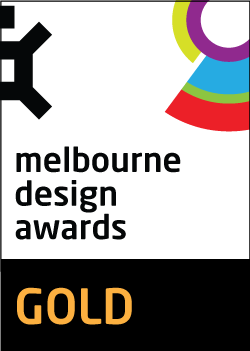 This project embodies our philosophy that green roofs should be designed to be enjoyed and experienced by people. To us, creating functional, beautiful and liveable rooftop gardens adds a layer of social sustainability to the environmental outcomes green roofs alone can provide. Visible to thousands of office-workers every day, this project is a billboard for rooftop gardens. The message reads, 'our buildings can be greener, both literally and figuratively'. 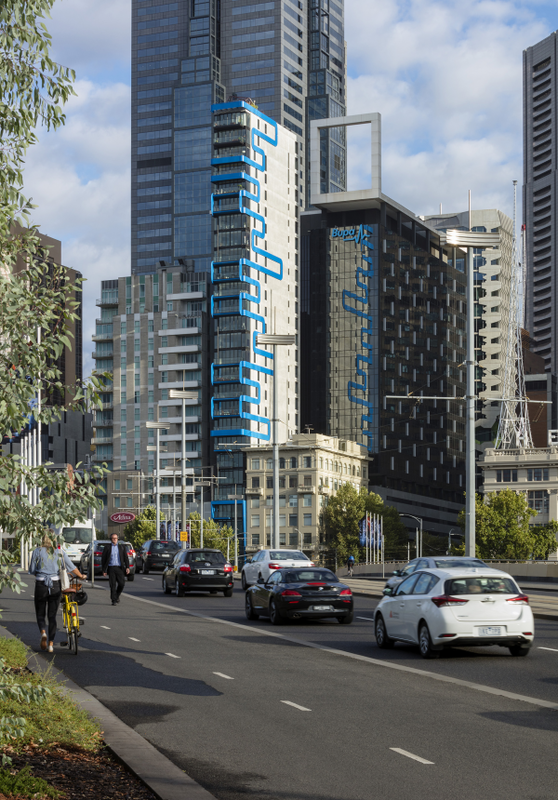 To our knowledge, this is the highest rooftop garden attempted in Melbourne, and is an innovative example of the ongoing and important investigation into the potential of green roofs in our cities. Beyond helping to mitigate the urban heat island effect and insulating its owners’ apartment, Phoenix Rooftop achieves a number of other environmental sustainability outcomes. Raised garden beds improve air quality through absorption of carbon dioxide and release of oxygen and, in association with permeable paving (recycled river pebbles), help to absorb, slow and filter stormwater runoff. 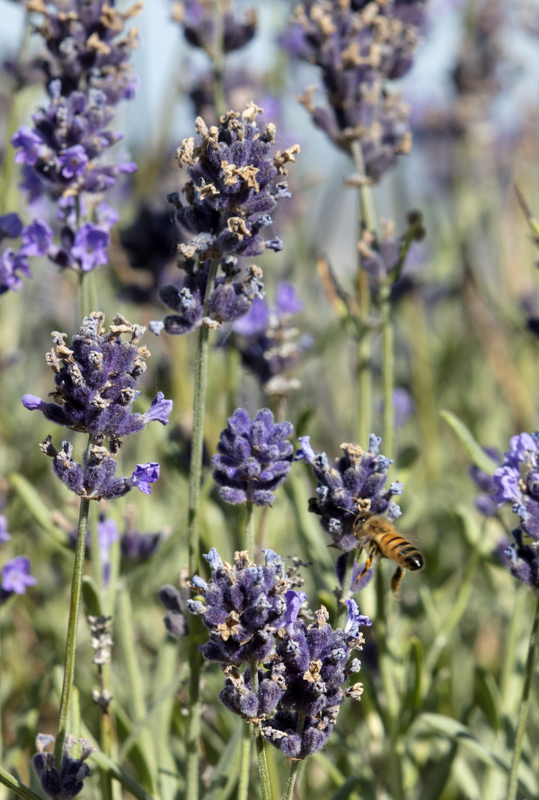 The planting encourages biodiversity in this densely urban environment, including creating a valuable habitat for birds and bees (a surprising sight to witness so high up). Recycled tallow wood and blackbutt are utilised in the material palette. Our clients are even experimenting by trying to create a productive garden - an urban farm - by tending to numerous herbs and a crop of tomatoes in the sky.